Yumi and her family are going to move away. Her father, Mr. Ishiyama, has been laid-off work and they cannot afford to stay in their current home while he tries to find another job. 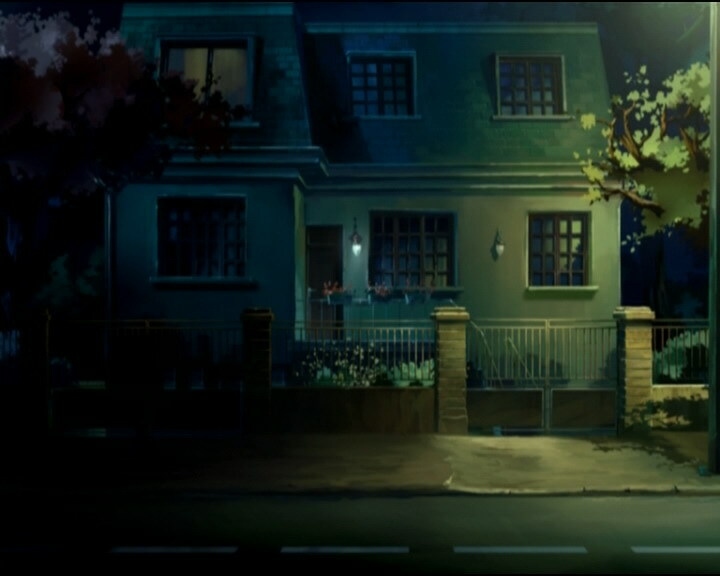 Devastated by the idea of Yumi leaving, Ulrich gets an idea -- he plans to secretly use the “return to the past” program to buy a winning lottery ticket which he will give to Yumi’s parents. He carries out his plan and, to no one’s surprise, wins the lottery draw. But his friends realize what he has done. They know that returning to the past increases X.A.N.A. 's power. Jeremy and Yumi think that Ulrich has gone too far. How could he be so careless! Their minds are made up -- Ulrich is out of the gang. Meanwhile, X.A.N.A. uses Nicolas to launch an attack. Our heroes are in real danger. Ulrich acts just in time to save them, and earns his place back in the team. The companions fighting against XANA are worried: Yumi’s father has lost his job and is seriously considering moving back to Japan if he doesn’t find work in France… Ulrich is the most affected by the sudden announcement and tries to find a way to stop her from having to move. The next day, Ulrich is strongly reprimanded by his comrades for what he did. 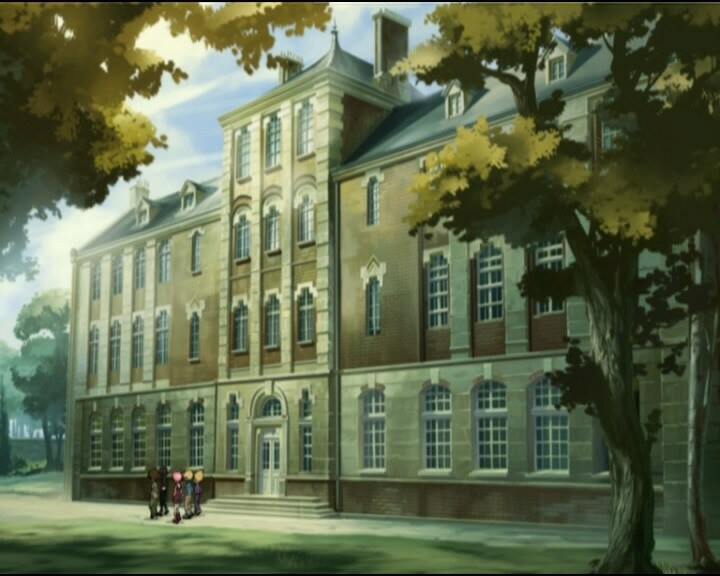 In a joint decision, they decide to exclude him from the group… Yumi gives him the ticket back, saying her parents refused to take the money… Frustrated and disappointed, Ulrich leaves with Sissi as company. 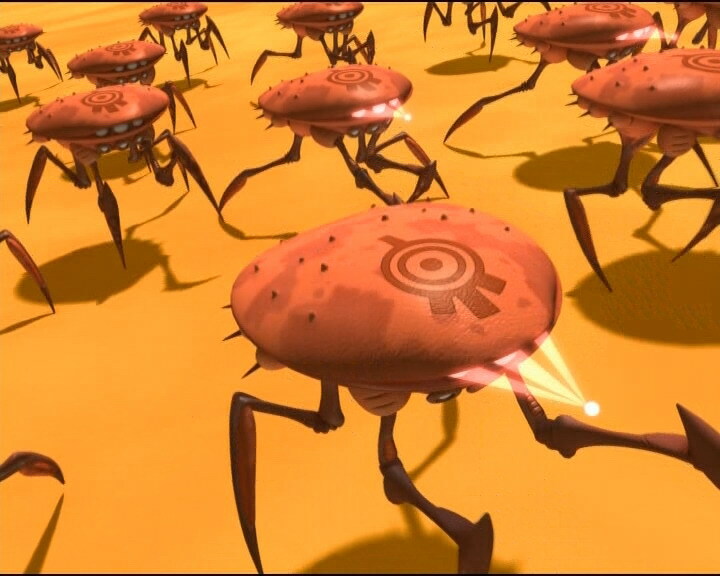 The Lyoko Warriors get on their vehicles and launch an assault on the barricade. Their efficiency and the Krabes’ stupidity in destroying one another allows Aelita to get through to the activated Tower. At the same instant Nicolas comes back and attacks Jeremy, deciding to finish him off for good… He shocks him with all his power. 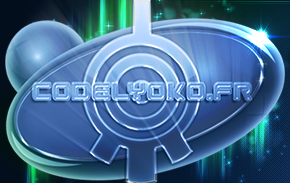 Aelita enters the Tower and the Code lyoko. Jeremy, saved, sees no reason to activate a Return to the Past. - Attack: XANAfy Nicolas to take Jeremy’s place at the console and sabotage the materialisation program. - Largest number of monsters ever used at the one time. - First time Ulrich launches the return to the past. - Herve and Nicolas play marbles. 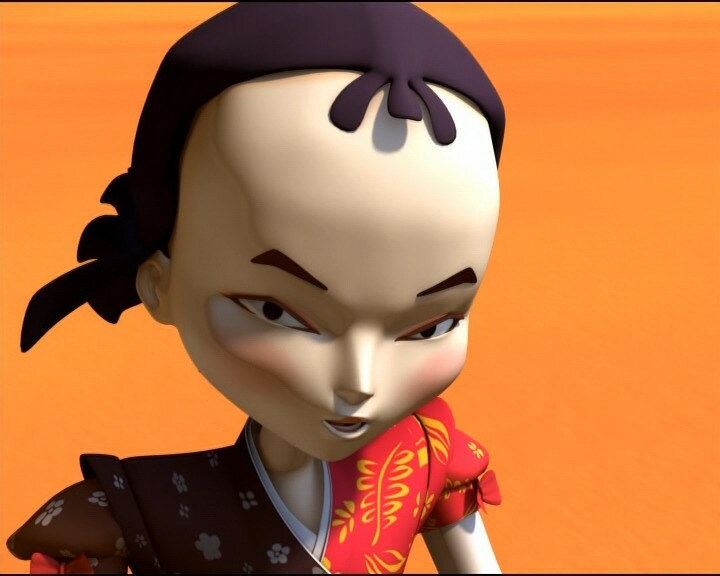 - According to Yumi, her parents hate gambling. - Yumi’s parents lived in Kyoto before coming to live in France and they think Ulrich is a sweetheart. 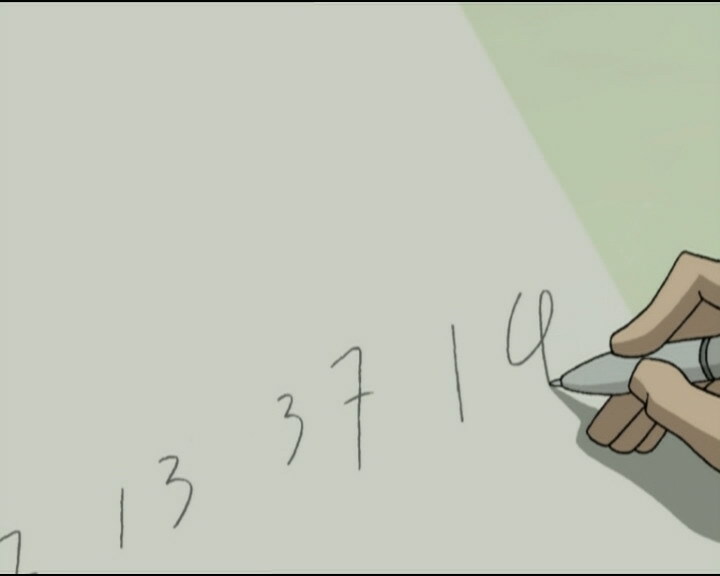 - When Ulrich stands up from his chair in Italian class, he pushes his chair back, and another chair can be seen in the same place as when he was sitting down, in the background art. - The ceiling access of the lift is brown before XANA-Nicolas climbs through it. - The door of the lift is open when XANA-Nicolas arrives at the lab, which shouldn’t be the case. 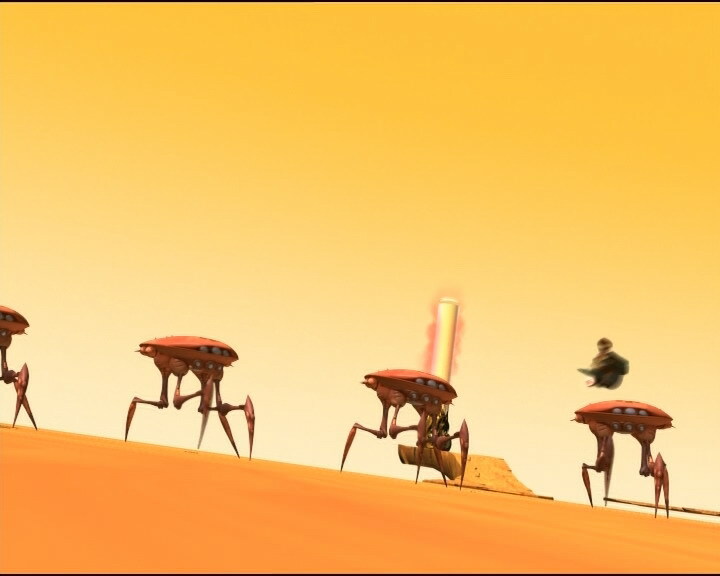 - The Krabe that tries to climb the sand wall and falls lands facing the opposite way to how it fell; its front should be facing away from the wall, not towards it. - The colours of Odd’s pants are inversed when he asks if Yumi if she’s kidding, and at the moment when Ulrich joins them before Aelita and Jeremy guess that he was the one who launched the return trip. - Yumi: "Could XANA have taken control of the back in time function? He’s done it before." Yumi makes an allusion to episode 30, “A Great Day” when XANA launched several RTTPs to increase its power. - Jeremy created a program to stop XANA from accessing the RTTP program, in response to the attack in episode 30, “A Great Day”. - First time someone other than Jeremy launches the return to the past. - Only use of the Krabe’s underside laser. - Only episode in which an RTTP is used for something other than a XANA attack. - We see James Finson’s extras from episode 8 “End of Take” when Ulrich gives the lottery ticket to the newspaper seller. 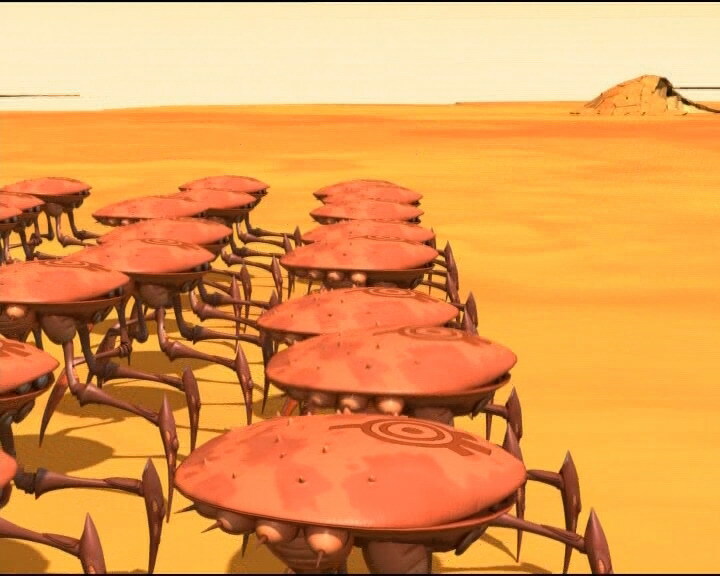 - When the Krabes form a barrier with their underside laser, we can see two rows of them. When Odd flies under them on the Overboard, there’s more than two rows… The number of rows then keeps changing, from two to three normally, then there’s an additional group of Krabes further on that keeps disappearing and reappearing. - “Break Away” by the Subdigitals (currently Subsonics) – with lyrics instead of just instrumental music we’ve heard before – is playing just before the lottery numbers are announced on the radio in Ulrich’s room. A green card is a permit in place in the USA allowing a foreigner to live and work permanently in the country. Takahashi is a brand name that’s very popular in Japan. Ulrich: Hey uh, what’s going on here? 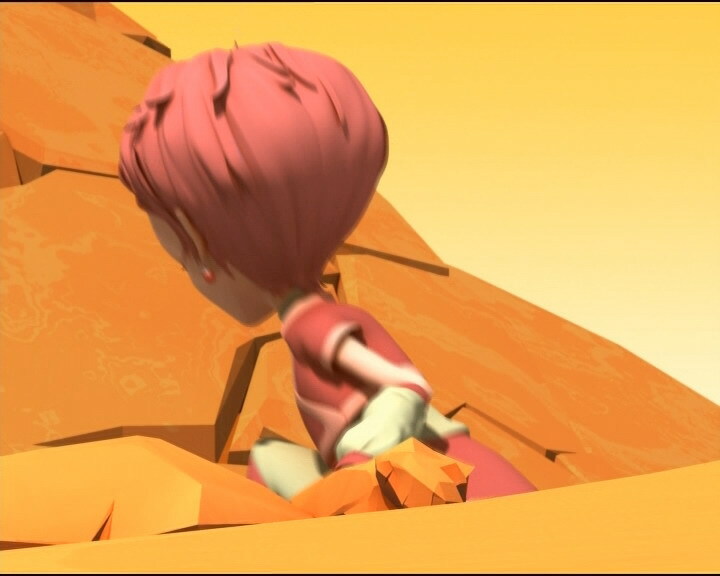 Aelita: I wish I could do something, Yumi! 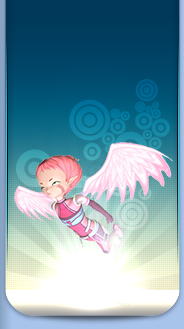 Yumi: That’s really nice of you, Aelita. Ulrich: Would somebody tell me what’s going on? Jeremy: Look, we’ll talk about it after class, ok? Ulrich: Don’t mind me! Keep acting like I don’t exist, ok? Ulrich: What?! Yumi’s leaving? We may never see her again, and I shouldn’t panic?! Odd: You know what? There is an easy solution! Odd: Well uh, you see, if you marry Yumi, then she can get a green card! Odd: I’m just trying to lighten things up! Yumi: My parents would never go for that. And what’s more, they need me! Ulrich: Isn’t it supposed to be the other way around? Ulrich: I know! Why don’t we write to our congressman and ask for help? Yumi: Sure, why not the president while you’re at it? Ulrich (talking to the radio): Will you be quiet?! Can’t you see I’m trying to concentrate?! Odd: He’s not in our room, I don’t know where he is! Aelita: I get the feeling that Ulrich is taking the situation even harder than we are! Odd: You can say that again! For Ulrich, losing Yumi is…well, imagine how you’d feel if Jeremy had to leave! Aelita (blushing): Why do you say that? Odd: ‘Cause I love making you blush! Mr Ishiyama: Yes, only that he doesn’t realise we have one chance in 14 million of ever winning! Jeremy: Hi Ulrich, you know I’m really impressed with your computer skills. Ulrich: Who, me? You are? 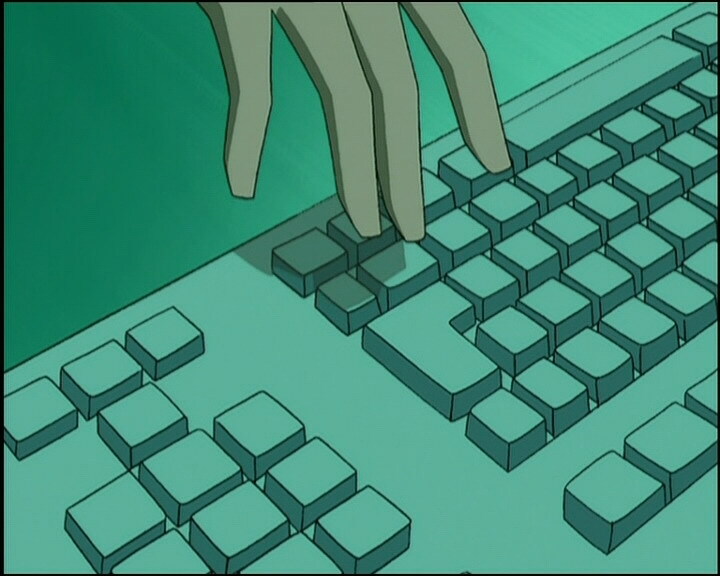 Jeremy: Well you did enter the code for returning the past into the computer without making a single mistake! Well done. Ulrich: What are…you talking about? Yumi: Don’t waste your breath. We know it was you who set off the return to the past. Odd: You broke rule number one, Ulrich! I can’t believe it! Jeremy: As of now, and until you hear otherwise, you’re out of the group, Ulrich. Sissi: Hey, what’s up, Ulrich? You don’t look too good. Ulrich: You’re right. (seeing Yumi with William) And when I see you, it gets even worse. Sissi: Well that’ll teach me to be nice to people! Herve: I really don’t understand what she sees in him! Nicolas: You said it! He sure is no match for my looks or my brains! Herve: Hmph, you think you’re handsome, huh? Nicolas: No more than you think you’re smart! Odd: Wow! When I think how much we complain all the time! Odd: Madame, would you do me the honour of climbing aboard my humble…board? Yumi: Are my eyes playing tricks on me, or are there at least…twenty of them?! 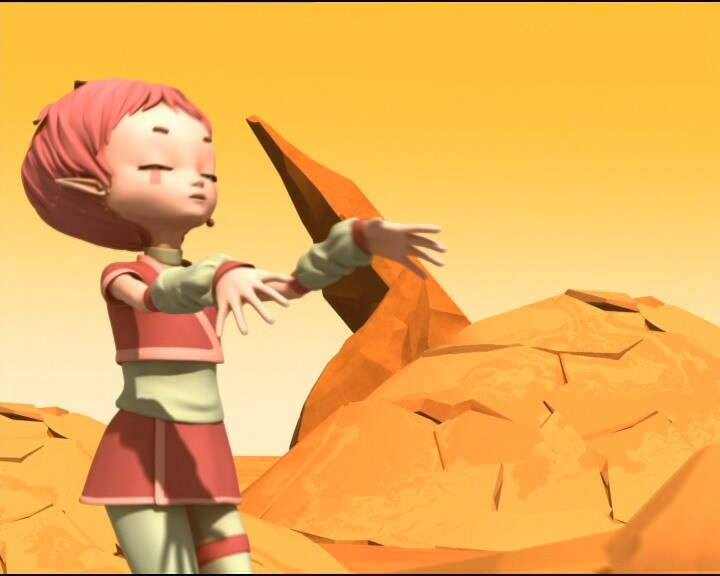 Aelita: Yumi, there are no mirages on Lyoko. Yumi: That’s what I was afraid of! Odd: By the way, thanks for warning us, Jeremy! …Jeremy? Yumi: Jeremy, was that you?! Answer me, will you? Odd: That isn’t Jeremy, I’d recognise that laugh anywhere! It’s Nicolas! 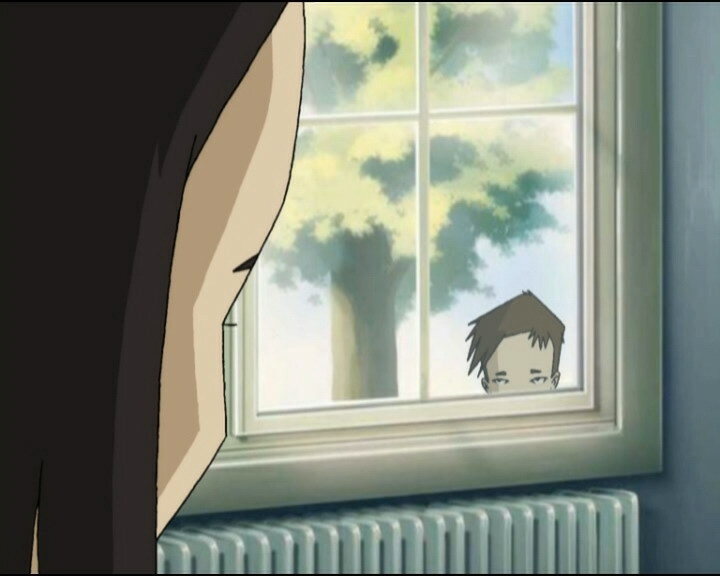 Yumi: Nicolas? Are you sure? Odd: Nobody else has a laugh that dumb, nobody in the whole universe! Sissi: You’re even more handsome when you train! Sissi: Are you crazy? That’s the last thing you need when you’re feeling down! It’s just the opposite; you need your friends to be there! Ulrich: Uh-uh, I don’t have friends anymore. Sissi: Well what about me? What does that make me then? Herve: Oh, Sissi, there you are! I’ve been looking all over for you! Sissi: Yeah? Well pretend I’m not here and keep on looking! Why don’t you go out and play with your friend Nicolas? Sissi: Why are you telling me all this? I don’t care! Can’t you see I’m with Ulrich? Herve (seeing Ulrich has left): Well not anymore you’re not! XANA-Nicolas: Maybe I’m the one you’re looking for! Ulrich: Wow, since when have you become an athlete?! Ulrich: Jeremy! Wake up, will you? You gotta get up! Jeremy: Hey…hi, Ulrich…how are you? Ulrich: Jeremy, pull yourself together! I need your help! Ulrich: Odd? Yumi? Aelita? Can you hear me? Answer me, will you? Yumi: Ulrich, is that you? Ulrich: He’s also in pretty bad shape. Ulrich: I’m really sorry about this Jeremy, but it’s for a good cause! Jeremy: Ouch! What…what’s going on? Odd: Yeah!!! We’re invincible again! Ulrich: Hi guys, didn’t miss me too much, did you? Yumi: Oh, just a little, yeah! Odd: Yeah, but those guys aren’t going to keep missing us if we stick around! Odd: Ok great, now all we have to do is cross that line of monsters. You and Yumi may as well go over the top. Yumi: And what about you? Odd: I’ll do what I do best…chef’s surprise! Ulrich: He’s really lost it this time! Yumi: No more than you have! Ulrich: Stop movin’ around so much! How do you expect me to help you? Odd: Cut me some slack, ok? I’m just trying to avoid getting hit! Jeremy: Ulrich, you’re the greatest! Odd: Hey, what about me? Don’t I get any credit? Ulrich: I should’ve asked you first. 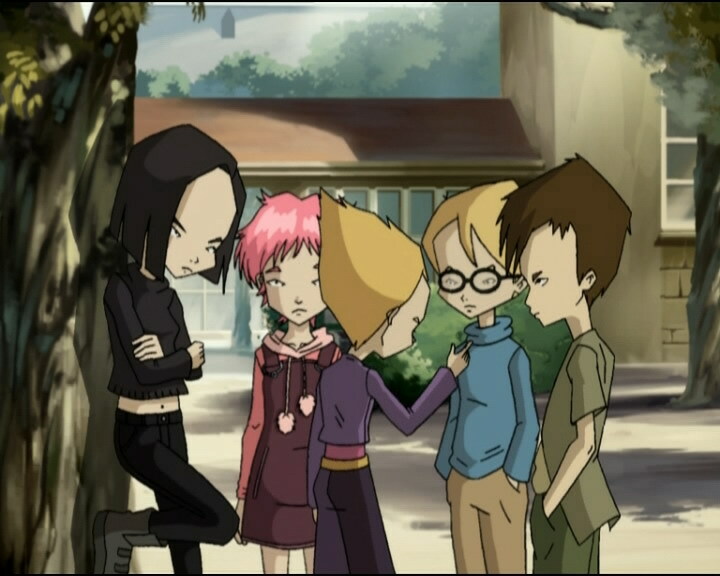 Aelita: So, are you back in the group? Yumi: Yes? Yeah, Mum, I’m listening…uh-huh…uh-huhh…alright. See you tonight. My father’s found work with Takahashi. Ulrich: Takahashi? You mean…in Japan? Yumi: No, silly! Right here! !